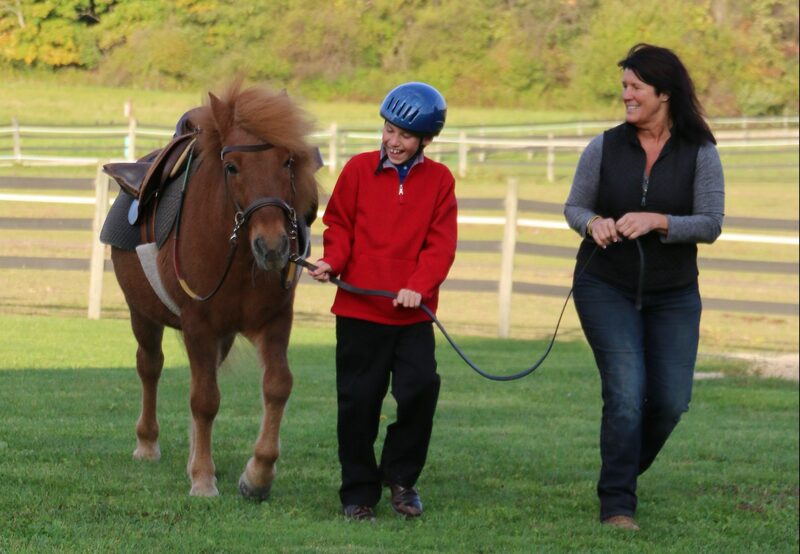 Our program is made possible through the help of more than 200 volunteers who come to the farm every week to work with our students and therapy horses. We often hear from our volunteers that their experience with our students is as enriching for them as it is for those they are helping. Read on to learn about their stories. Through working with horses, Ernest was able to sort out his feelings and start to heal. Scores of veterans have come to Fieldstone Farm and found the same success. 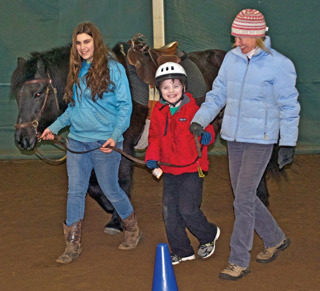 The program helped Ernest so much that now he is giving back to others and is a volunteer at Fieldstone Farm in the therapeutic riding and carriage driving program. He enjoys helping others find confidence, courage and independence, like he did. He recalls how he helped a veteran who is a triple amputee hold the reins while carriage driving and how they both felt such joy in this accomplishment. A young man with little confidence, found success with horses and began to believe in himself. A teenager who rarely speaks, became so relaxed and comfortable around the horses that he initiated a conversation with others. A student with autism who often rocks back and forth, sat absolutely still and connected to the world while riding. 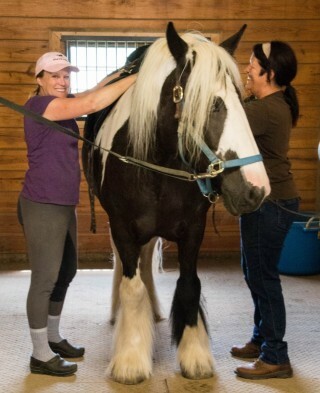 A veteran realized she was capable of being more open and patient with others after interacting with our horses.